Cellular baby cot blanket. The soft cellular construction offers greater insulation and breathability. These blankets have a soft but substantial feel with neatly hemmed edges. Combine with our sheets to ensure a little one is warm and comfortable. 100% Cotton. Size: 86x112cm (34x44”). Machine washable at 40 degrees. MINIMUM QUANTITY 5. 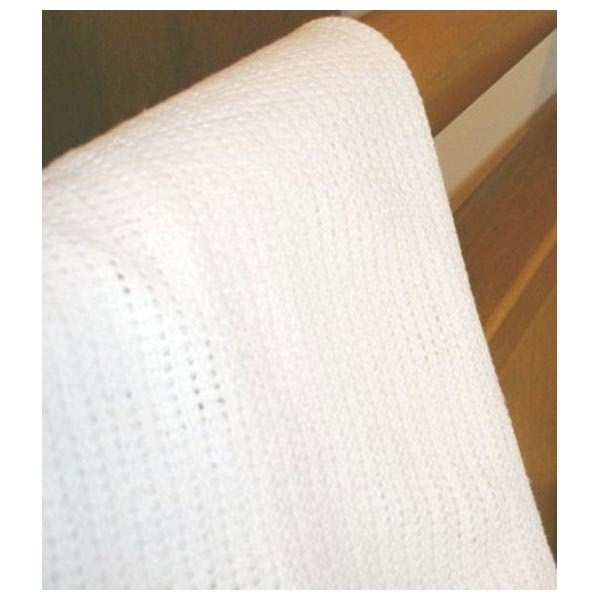 We also supply flat cot sheets, fitted cot sheets, cot blankets, cot duvets and cot duvet covers.